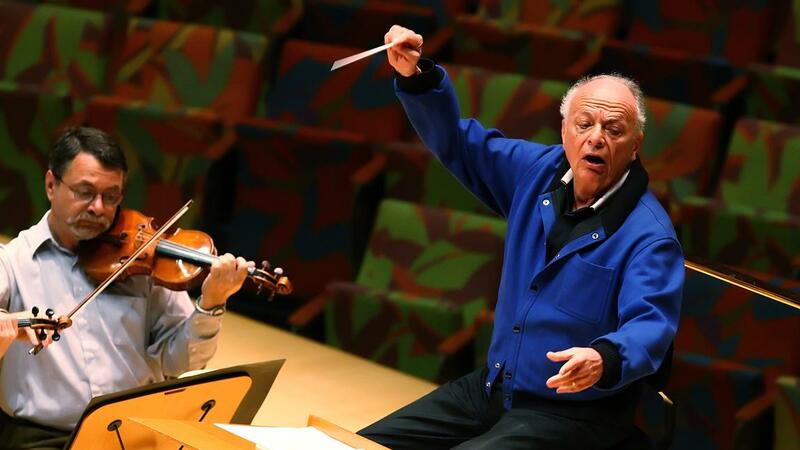 American conductor Lorin Maazel died earlier today from complications of pneumonia at his home in Virginia. He was 84. The former child prodigy was born in 1930, began playing violin in “the Karl Moldrem Baby Orchestra” by the age of five, and was conducting at seven years old. In 1938, he made his first appearance on the Los Angeles Philharmonic podium, sharing a program with Leopold Stokowski. 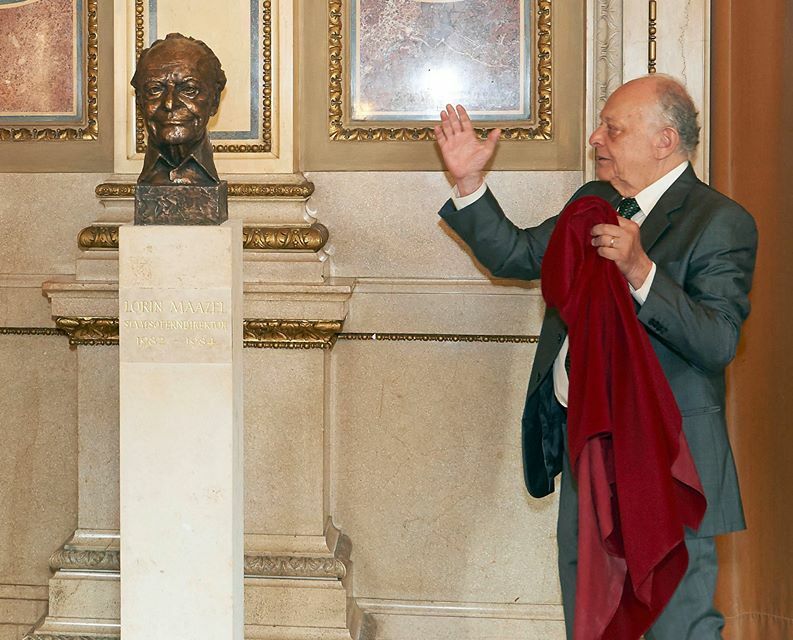 He would eventually hold the top posts at the Deutsche Oper Berlin, the Cleveland Orchestra, the Vienna State Opera, the Pittsburgh Symphony, the Symphony Orchestra of the Bavarian Radio, and the New York Philharmonic, among many others. Regardless of one’s opinions about him or his conducting, he was certainly prolific: his website lists him as having “made more than 300 recordings, including symphonic cycles of complete orchestral works by Beethoven, Brahms, Debussy, Mahler, Schubert, Tchaikovsky, Rachmaninoff, and Richard Strauss, winning 10 Grands Prix du Disques.” He also dabbled in composing, with 1984, his opera based on George Orwell’s novel, receiving its world premiere at the Royal Opera House, Convent Garden and a revival at La Scala. Tags: Lorin Maazel, obituary. Bookmark the permalink. Your choice of the picture at the top of this post is brilliantly appropriate – the great Maestro typically worshiping himself. Thanks for noticing. It jumped out at me when I first saw it, and I had to use it. Of course, the second picture is good for other reasons.